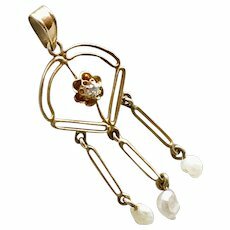 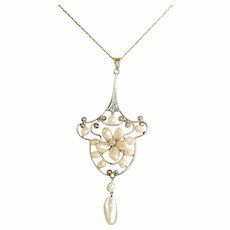 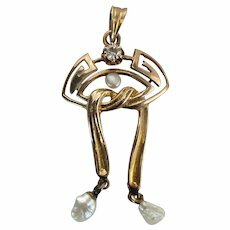 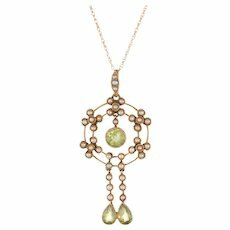 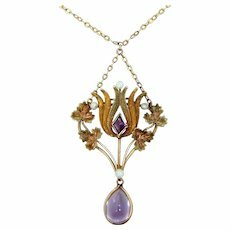 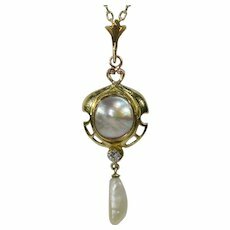 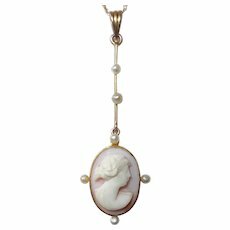 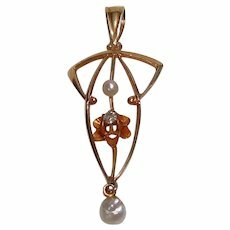 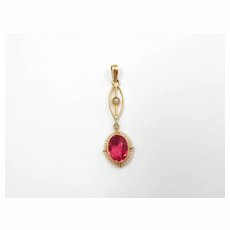 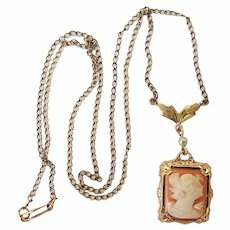 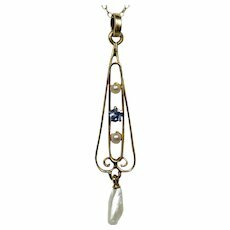 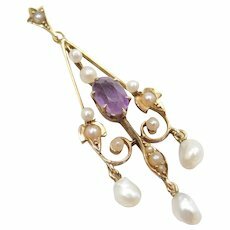 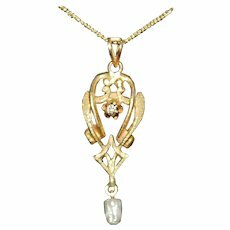 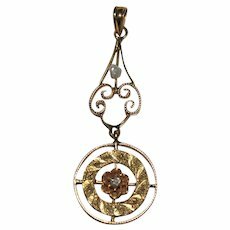 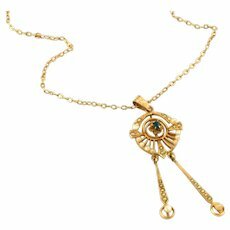 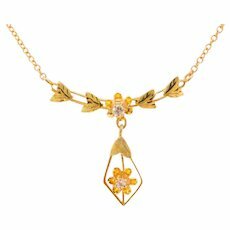 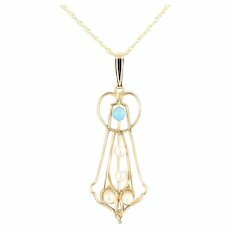 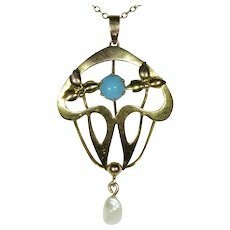 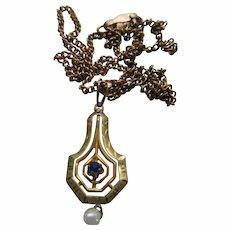 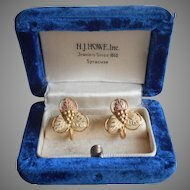 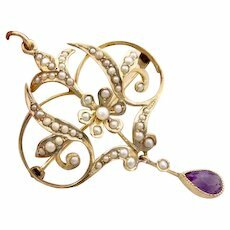 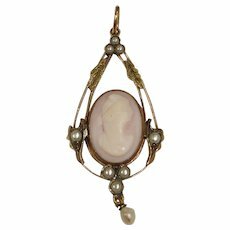 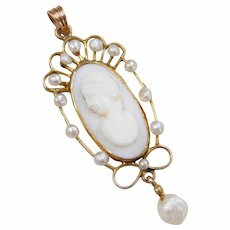 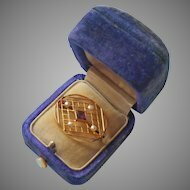 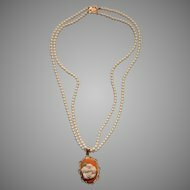 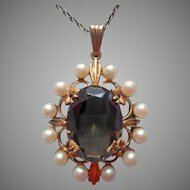 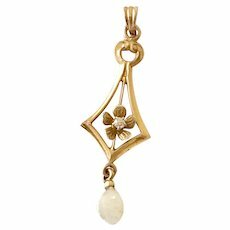 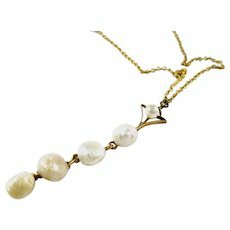 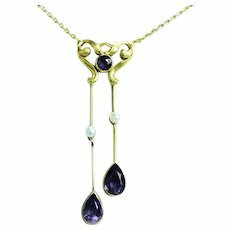 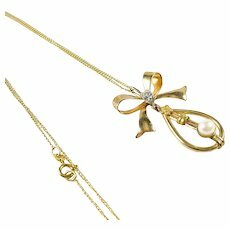 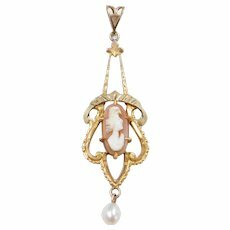 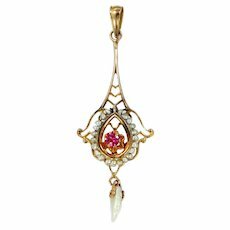 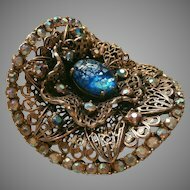 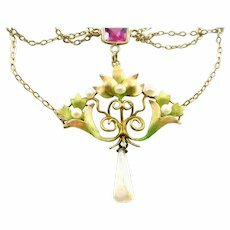 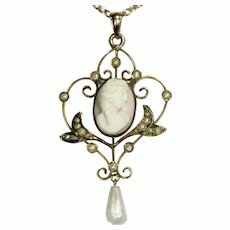 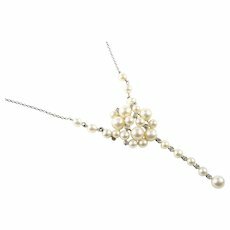 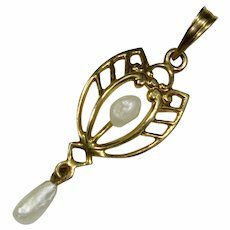 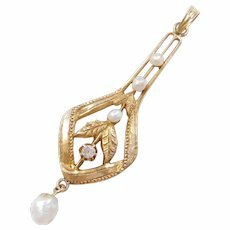 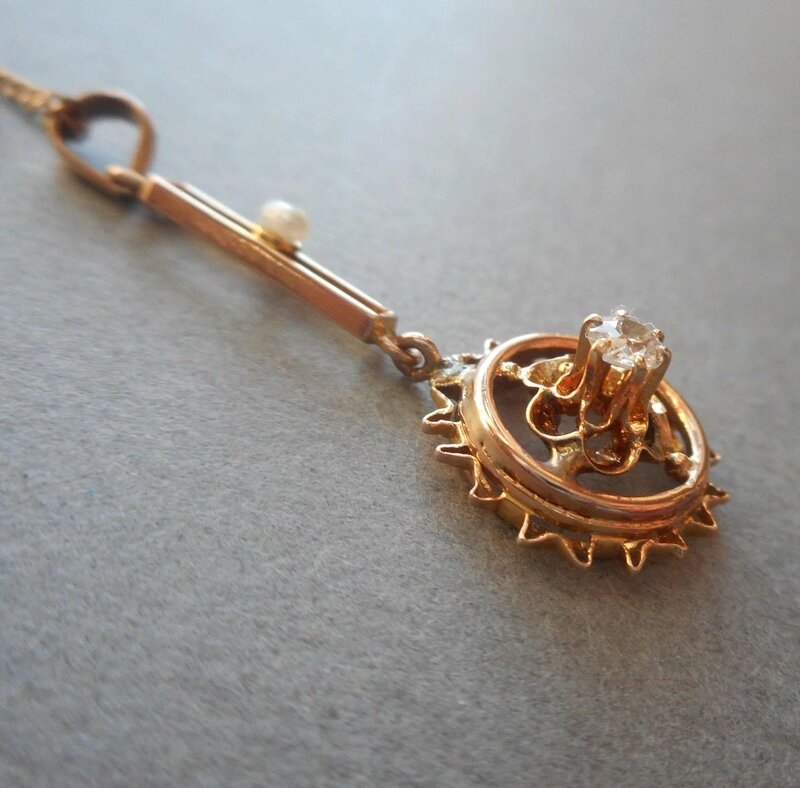 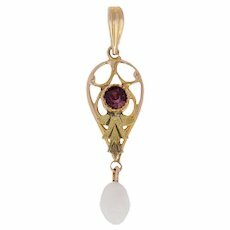 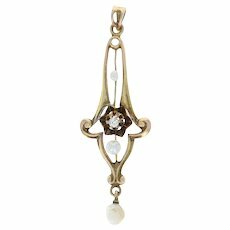 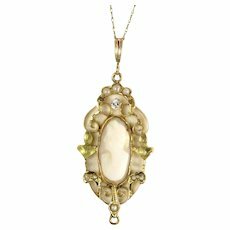 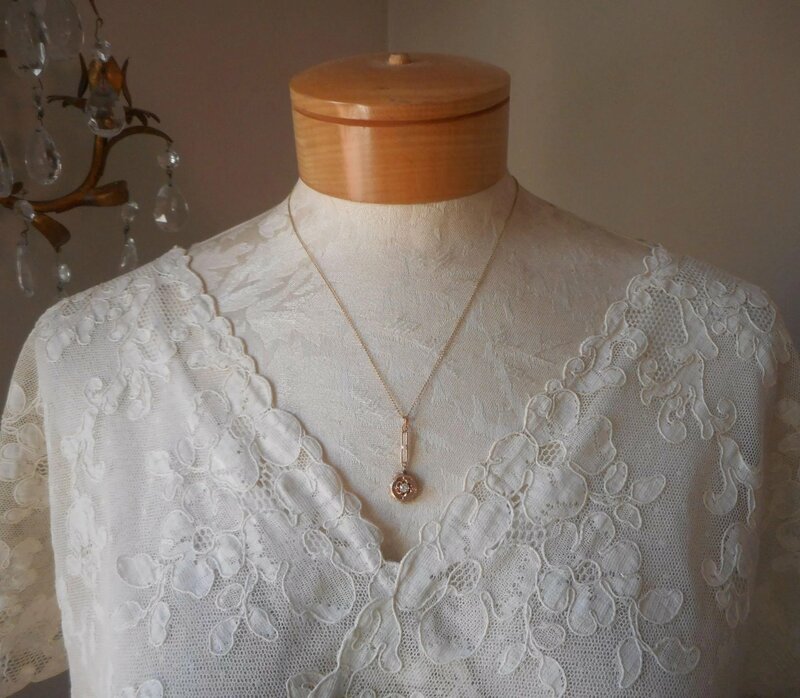 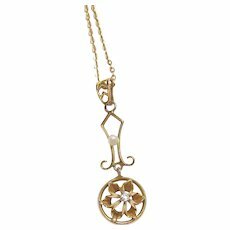 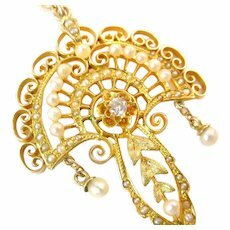 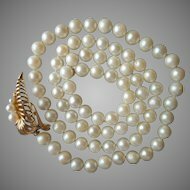 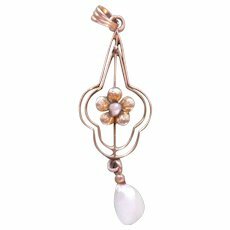 Antique, 1900s to 1910s, 10K yellow gold lavaliere pendant set with a diamond set up high on top of the flower shaped setting popular at the time, accented with a small natural pearl. 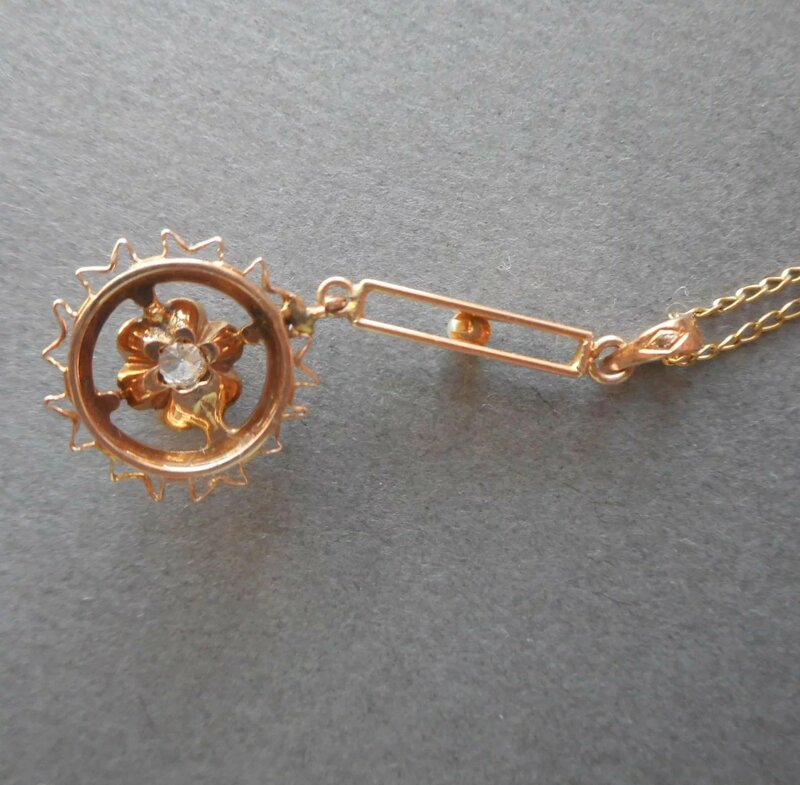 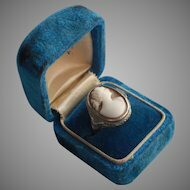 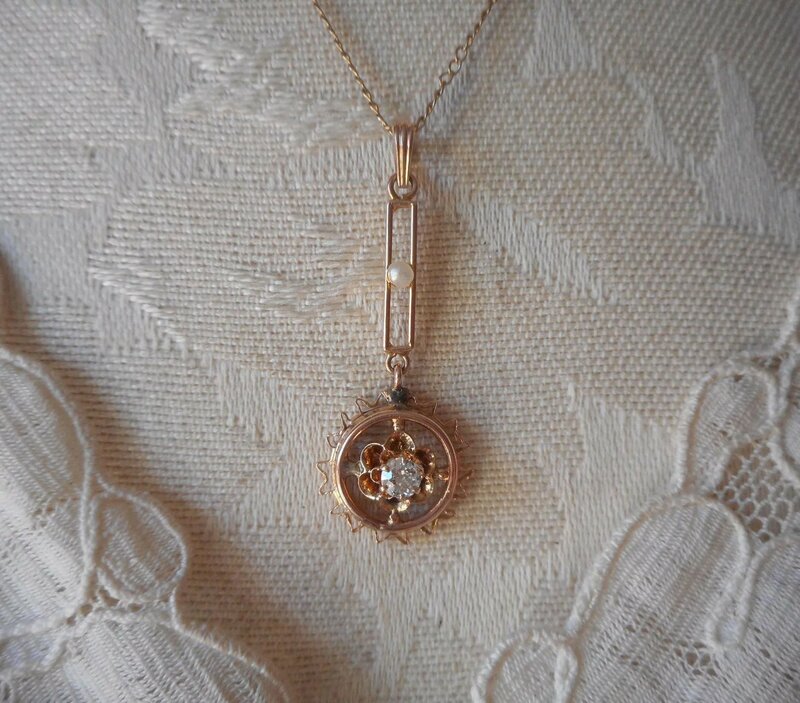 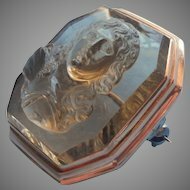 The pendant is marked 10K as shown and acid tested to concur, and there is a tiny diamond shaped makers mark as well that cannot be made out, shown last photo. 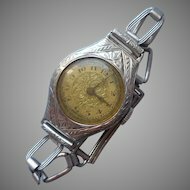 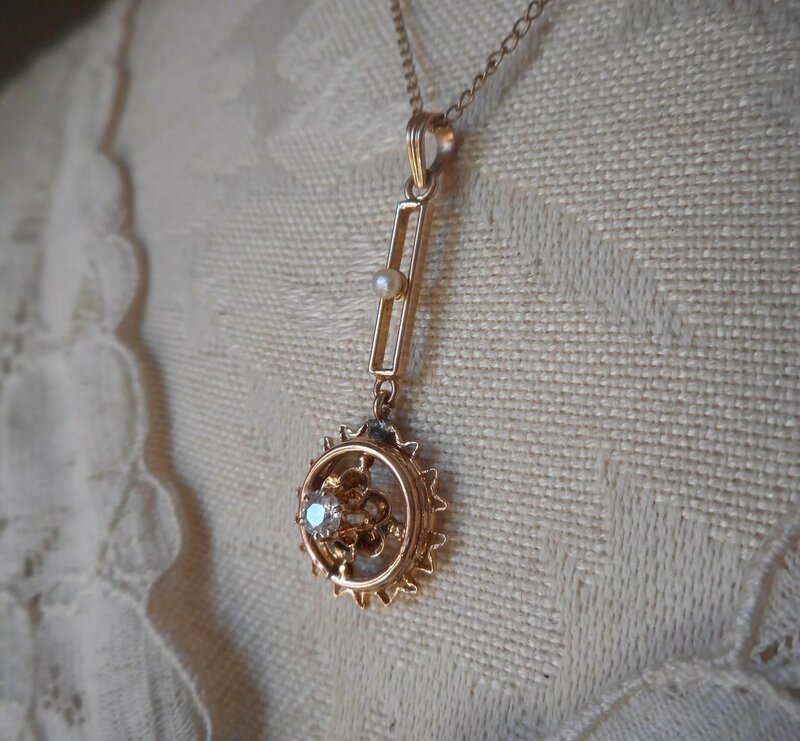 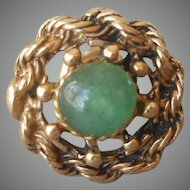 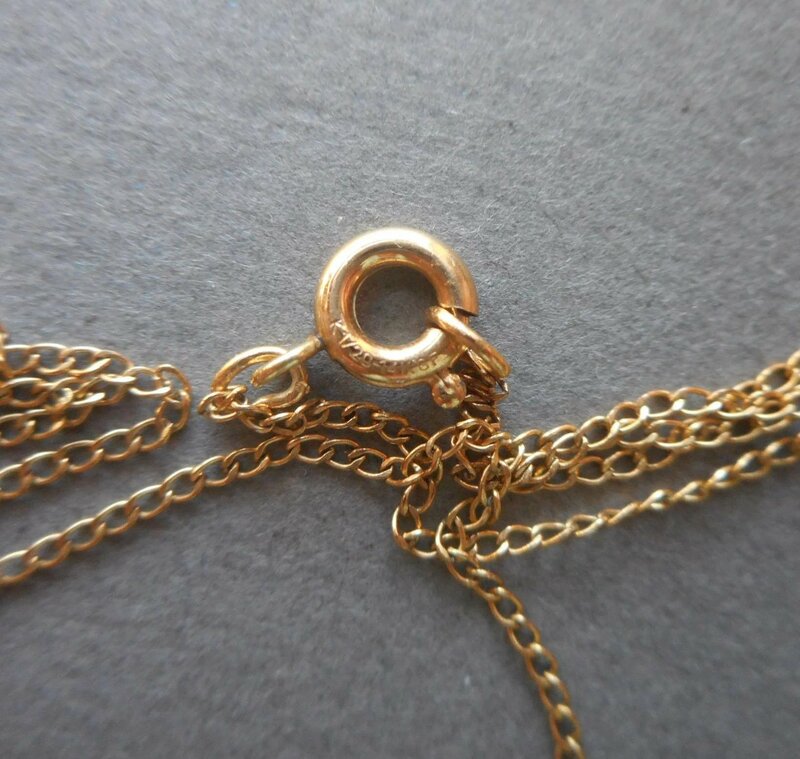 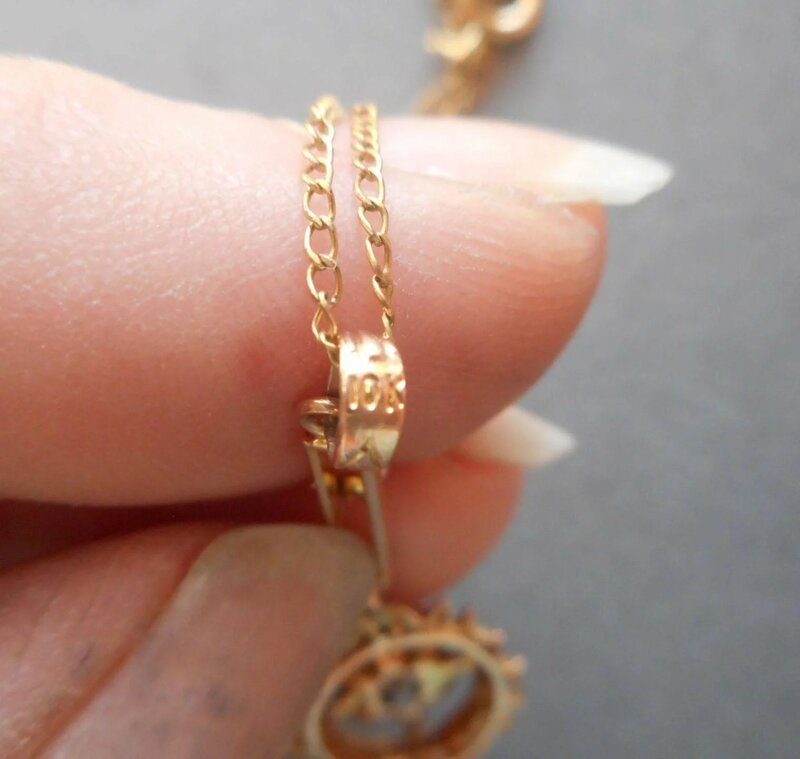 It was found without a chain, and I have added a fine, very vintage gold filled chain so that you can wear or give it immediately without having to track down a delicate 10K chain to match. 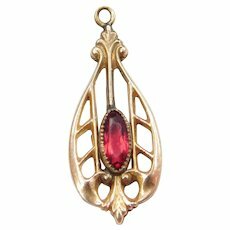 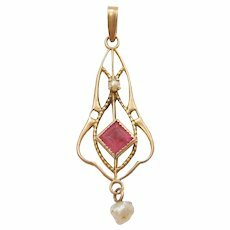 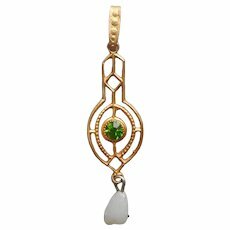 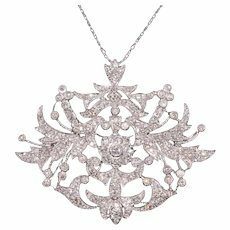 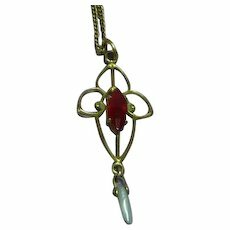 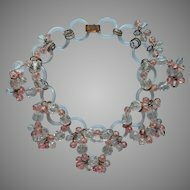 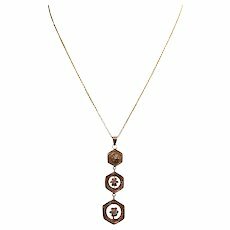 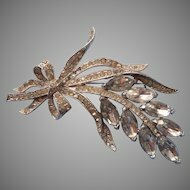 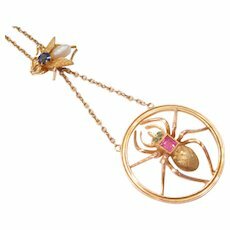 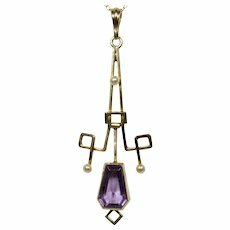 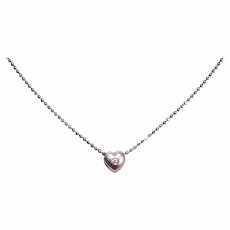 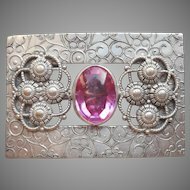 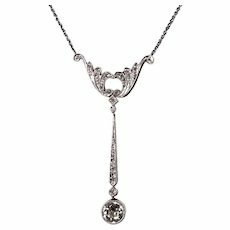 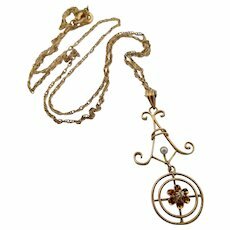 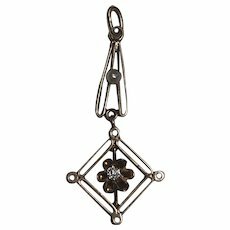 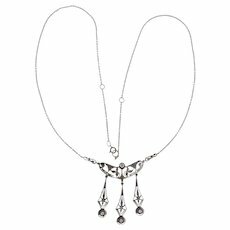 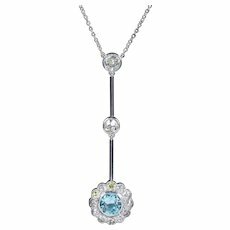 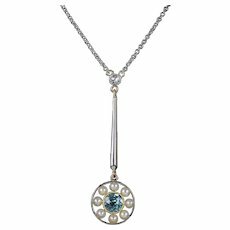 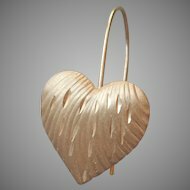 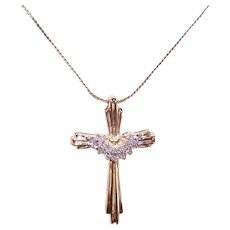 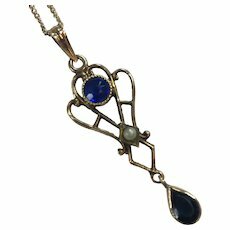 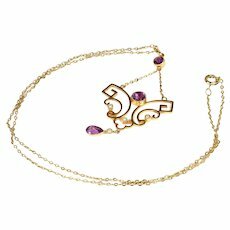 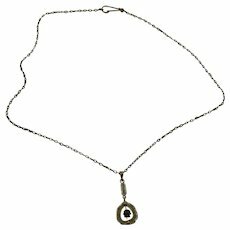 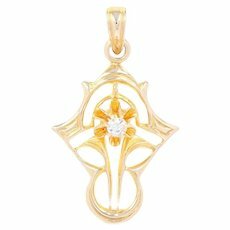 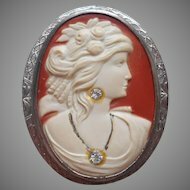 The pendant measures one and three eighths inches long total, and the chain measures 18 inches long clasped. 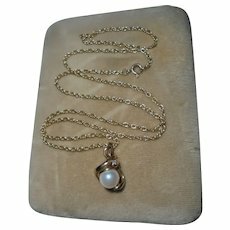 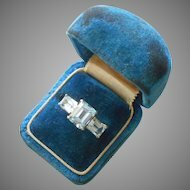 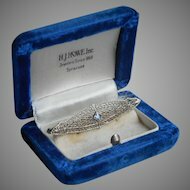 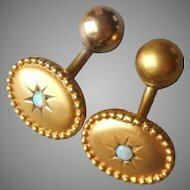 Excellent condition, no issues, pretty, dainty, and classic.